Pontoon 8am -12pm $100 or 12:30-4:30pm $150 plus 5pm to ½ before sunset $100 gas and tax - all day 9am 7pm $225 +tax and gas, Boat dockage $5 day(pull on shore for free, limited space first come basis), Ice $2.00, fire Wood $5 plus tax bundle. 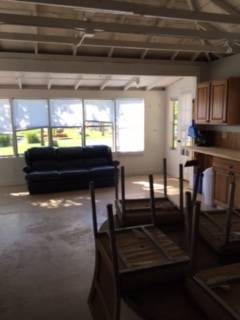 Clean Showers (.25), bath rooms, Vending machines, pop machine, swim beach with slide, 2 paddle boards, 4 kayaks, swim rafter, tennis court/ basketball hoop, hiking trails, horse shoe bean bag toss, large play area, volleyball, free game room, Tetherball, sand play area/ play ground. No pets, no seadoo/wet jets, Do not burn garbage in fire ring, Garbage dumpster is located by dump station, $10 fee to dump gray and black water from camper. Quite Time is 10-pm. Do not move fire rings and put back Picnic tables if moved. Check with office before launching boat. If you bring firewood, use DNR protocol on decontaminating wood or purchase here. 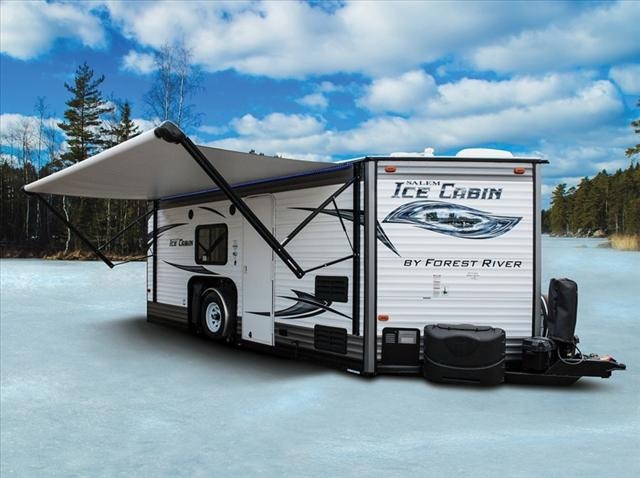 Cabin Is based on 4 people. Check in 11am, Check out 2pm, $10 for late checkout if no one is coming in. 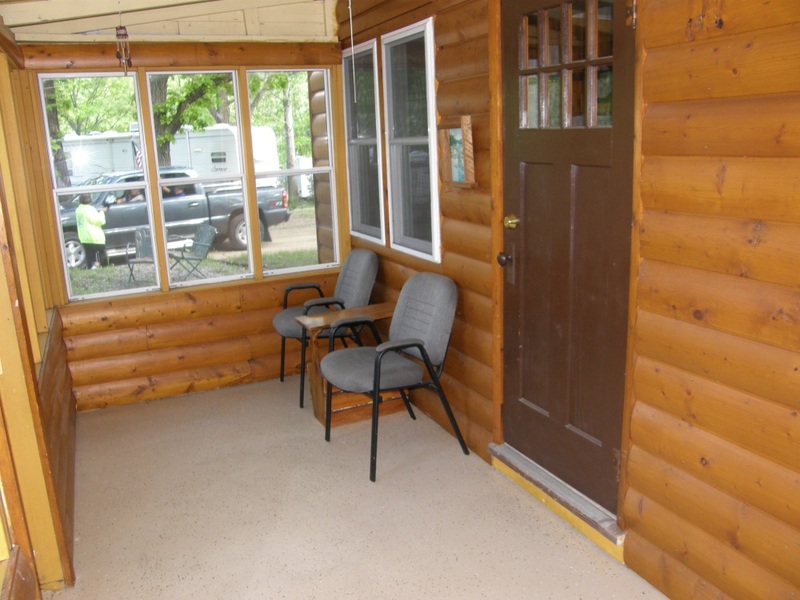 $70.00 +Tax per night, additional $10 per day charge for portable AC unit. $15 per day extra person plus tax. You will need bed rolls (air mattress) sleeping bags, pillows, plates, glasses, plastic forks, spoons, cook stove, towels etc. 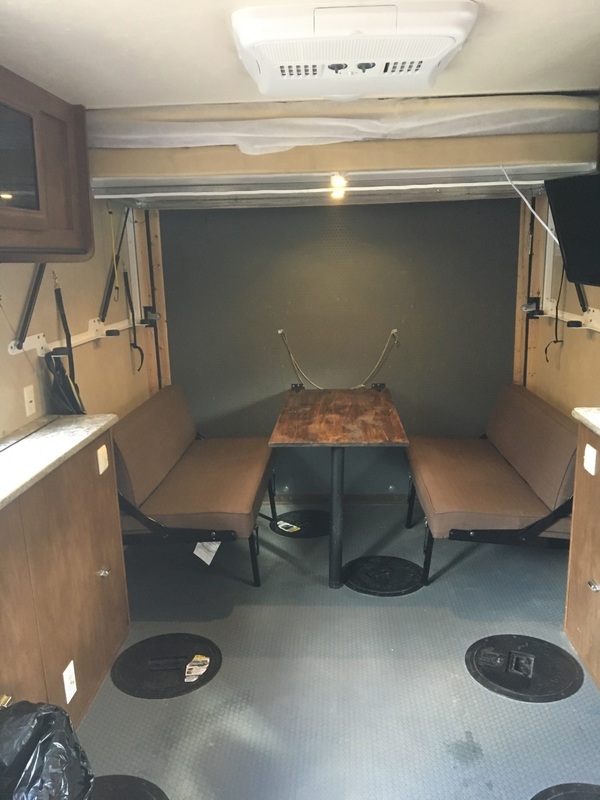 Provided- table’s plywood bunks, coffee pot, hot plate, toaster few miscellaneous pots pan, cooking utensils. You will need to bring your own towels and soap. 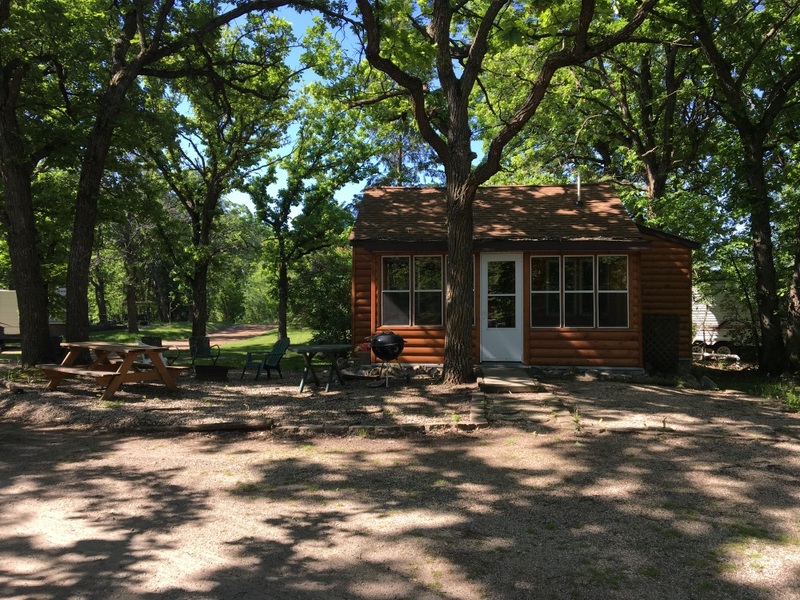 $110 per day plus tax , $600 week plus tax, 2 night minimum, based on 4 people, $15 extra guest – 3 bunks, 1 lofted, shower, stool, sink, range, electric fridge, pots pans dishes, utensils, toaster, AC, Awning, coffee pot, and bedding cover. You will need to bring your own towels and soap. Based on four people- $150 per day/ $750 per week Plus tax. 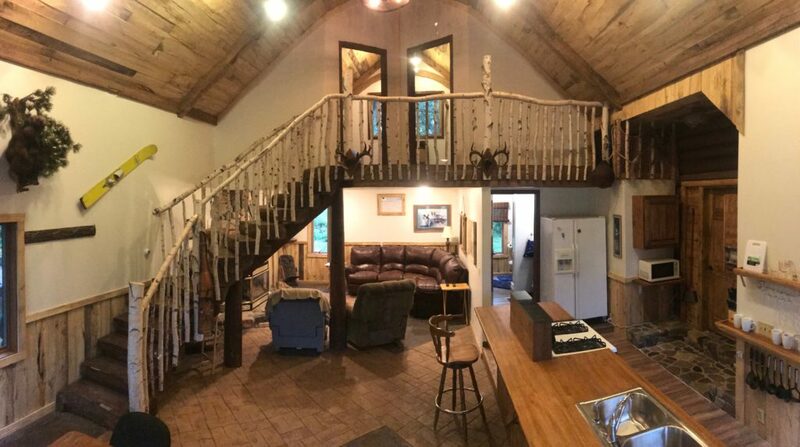 $322.13 deposit is required within seven days of making the reservation. 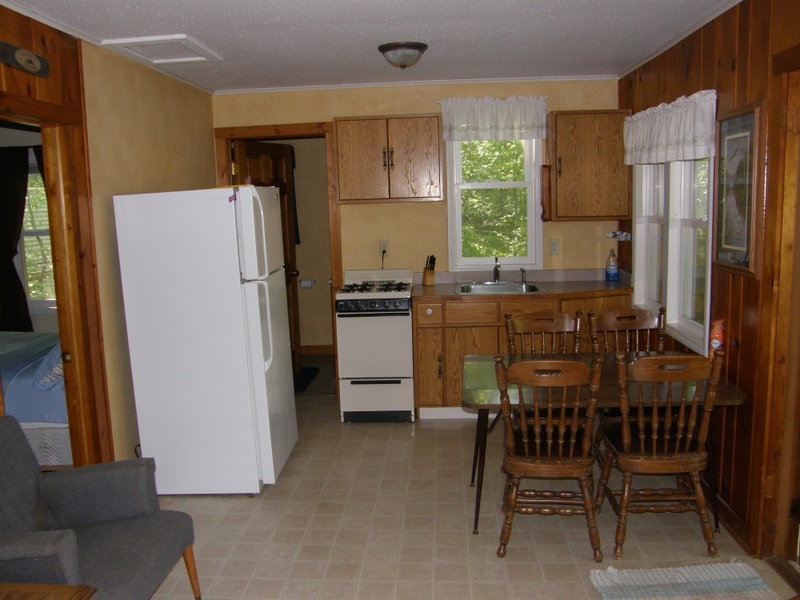 2 bedroom with screen porch, bath shower, stool sink, Gas range, electric fridge, pots pans dishes, utensils, toaster, coffee pot, and bedding provided. You will need to bring your own towels and soap. 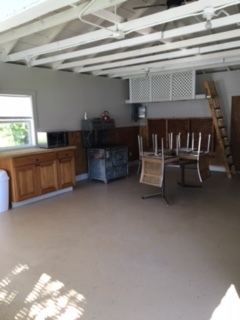 Extra charges for cabin -Extra person over 4 people $30 per night person, visitors $7 per day (No pets), if dishes are not cleaned and floor swept $20. is based on four people- $190 per day/ $950 per week Plus tax. $408.03 dollar deposit for a week or full payment for a week. Deposit is required within 5 days of making the reservation. 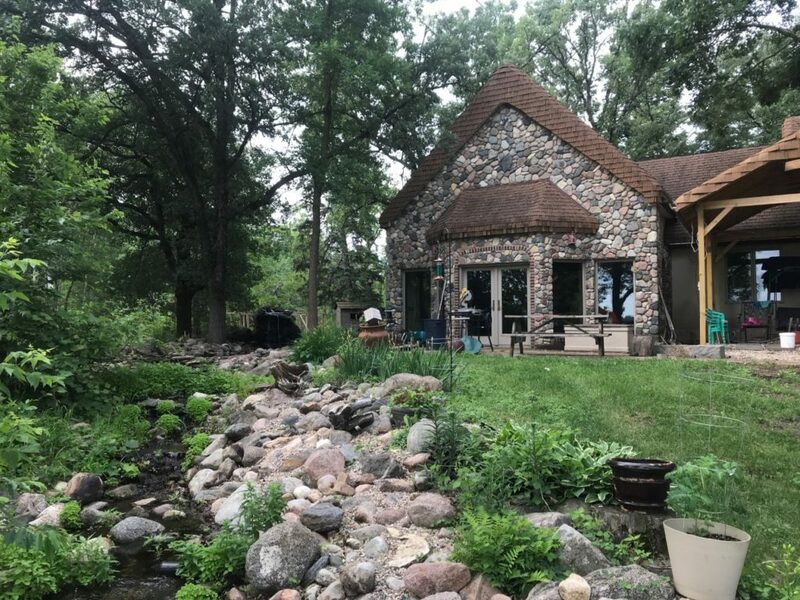 2 queen bedrooms, Charcoal grill, picnic table, fire ring, cable Tv, Gas fire place, shower, stool sink, Gas range, electric fridge water/ice, pots pans dishes, utensils, toaster, coffee pot, and bedding, bath towels provided. 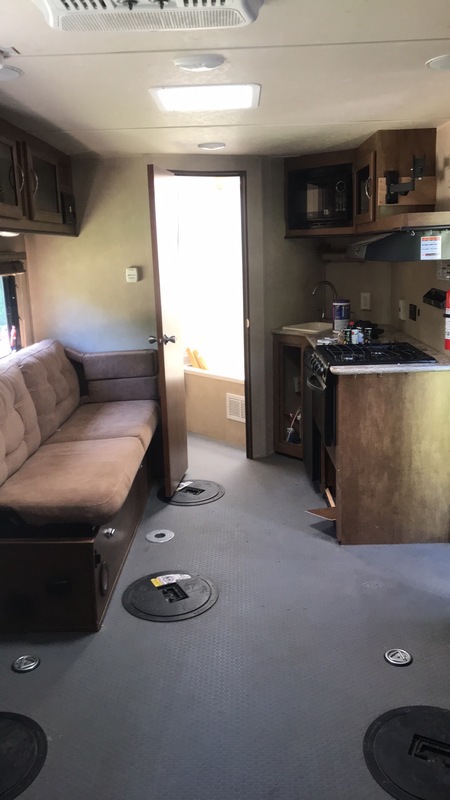 Extra charges for cabin -Extra person $30 per day, visitors $7 per day (No pets), if dishes are not cleaned and floor swept $20 You will need to bring your own beach towels, soap, Paper towels and charcoal.